Oh, I have been away for a few days but I am back! I am working very hard on implementing the information from the Kindling course I am reviewing. I would like to mention to you that there is a facebook page for Kindle Beginners and it’s really helpful – Kindle Beginners Challenge It’s done by Tiffany Dow, but there are lots of people giving good information and tutorials. I wouldn’t want you to miss it because it has provided a lot of inspiration for me this past week. People post all kinds of great info! Check it out. I want to highlight a couple of really good posts that were put on the facebook page, since they may be long gone when you read this! Getting Massive Publicity For Your Book – Book Reviews With Book Bloggers – this is the post they highlighted – I am going to have to seek out some book bloggers! Best Practices for Your Amazon Book Page – lovely article! I was still feeling inspired after I read the fiction section and about romance and erotica, that I decided I would write a fiction series. So, I am currently working on writing 2 books, one non-fiction and one fiction. The non-fiction will be a follow up book to my original book on Living With Chronic Kidney Disease. The fiction book will be about a young adult genre, and it will be under a pen name. Based on some other reading I have been doing, I am starting to realize that part of the magic starts with Kindle when you have more than one book. You can read all kinds of articles and blogs about how to set up your blog and other things, but you really have to just start writing and build the number of books in your series. I started writing in the mornings before I start doing any other work on this website: www.750words.com and I just do the 3-4 pages of writing that I can that day. It’s usually done in 30 minutes. In about 7 days, I will have enough done to start editing! As of today, I have 15 pages written – awesome! Now, we are ready to talk about the next section on Kindling – Branding. I think the best part about publishing on kindle is being able to make a name for yourself and show you are an expert! The first section on Branding is the overview – and here he just lays it on the line. These are the things that you have to do to brand yourself. He has a list of 6 items. I have done all of these in my other businesses, so it’s not too hard to understand how I will have to do them, I am just hoping we are going to talk about synergy with them. He does give a dose of reality – in addition to writing the books, you have to do some things to be rich! And he says you are going to be rich, so get over doing a little work for it. HEHE. After that, he talks the value of covers. Starting out with what not to use! And then he explains how to get great covers using simple information and why you should spend a little money getting them done now. Then there is a big – AHA! moment midway down the page in the pictures he shows. I understand… The rest of this page is a little reminder to do what he has been teaching all along. Next, he has a video about how to do super simple cover creation using free resources. [I personally use Fiverr.com, I can tell them what I want and it looks great at the end of the day!] Short video that is chock full of great info! He shows how to make the cover in 5 minutes. Love it. Next up – Why Brand? He talks about how branding will take you to the next level. And the audio is about how branding will help you in certain markets, and he makes some great points about how it works. How you can earn some income off Amazon based on the branding. Branding and promotion go together, so the better you brand, the better your promotions will be! Relationships – give you feedback and let you create better books. Building relationships is part of the key to branding, according to Geoff Shaw. This will build you into a better brand. You give good information and entertainment and people receive it – there you go. The circle of influence expands beyond the current people that you interact with. Friends tell friends about it. That’s the end of the branding section – I enjoyed this part. I am fairly well branded for my first set of books that are non-fiction but I will have to build a facebook, twitter and blog for my fiction pen name to start building some following. 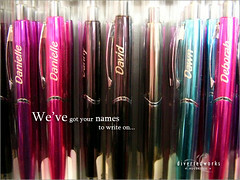 Since I have not decided on a pen name – I will do that tonight and get these set up. Thanks, and let me know what you are thinking of with the Kindling membership!